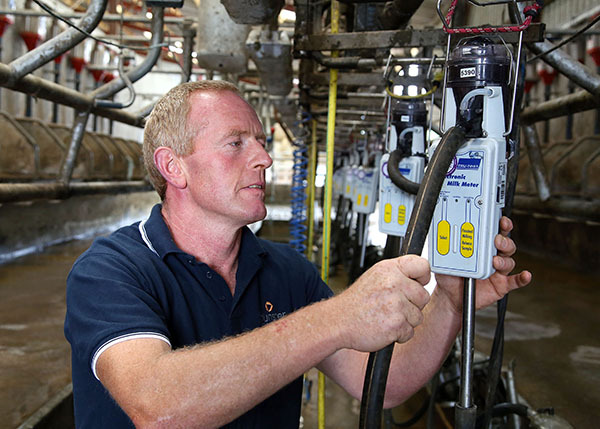 Milk Recording is the only way to accurately identify cow performance on your farm. It will help you identify which cows are making you money and which cows are not paying their way. 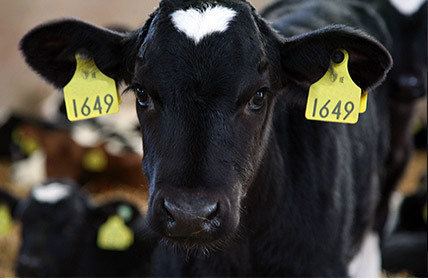 Reducing SCC from 200,000 to 120,000 increases profit per cow by €85, resulting in an increase of €8,500 for 100 cows. More milk is produced from low SCC cows, less culling, more mature herd and peace of mind. The average supplier is delivering 390kg whereas the top 10% are delivering 480Kgs. At €4/Kg the difference is €360 a cow and €36,000 in a 100 cow herd. 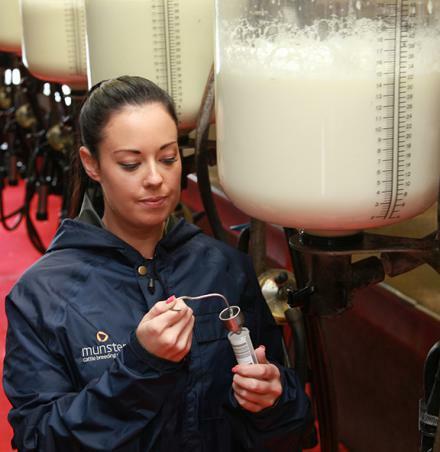 Increasing the % of fat and protein % in the milk greatly increases milk price, increasing from 4.00 to 4.2 % fat and 3.5 to 3.65% protein will add 1.7c/litre. This is worth €10,200 in a 100 cow herd. 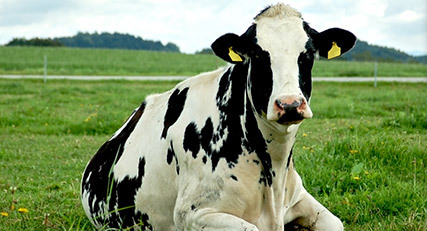 The average cost of keeping a cow is €1,200. Cows in the top 25% produced €360 more milk sales than the bottom 25% of cows- ICBF data 500,000 cows. Johne’s is becoming more and more important for the provenance of our dairy exports especially in the infant formula market. Secondly herdowners wishing to market breeding stock need to ensure that they are low risk for Johne’s. Incalf heifers and dairy heifer calves from milk recorded herds with a high €BI consistently command a premium when sold. 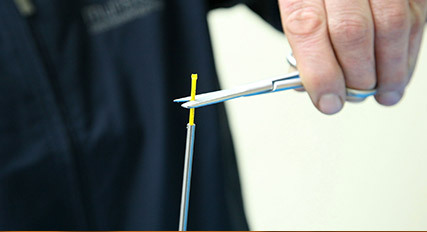 Milk recording will allow you to reduce antibiotic usage with selective dry cow therapy and maintain or lower your SCC. This greatly simplifies the milking routine and more importantly more peace of mind as the risk of an antibiotic contaminated bulk tank is reduced. 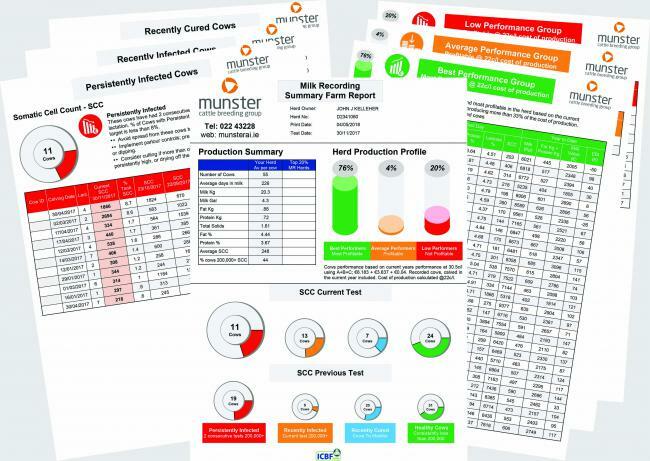 Herdowners who are milk recording and using Munster’s top AI sires have a greater selection of replacement heifers to choose from. ‘Breed the best to the best’ still holds true today. Trained technician to help with the EDIY milk recording service. Payment by instalments in mid and late lactation.